If you are seeing the mysterious service battery warning when you hover over the battery icon on your Mac, then you must definitely be wondering about what it is and how to fix it. There are a number of possible explanations for such a warning. It can be due to poor battery maintenance, a bug, strange battery performance, or the need for battery replacement. Normal: the battery is well and functions normally. Replace Soon: the battery does work but it might lose the ability to charge. Service Battery or Replace Now: service is needed. 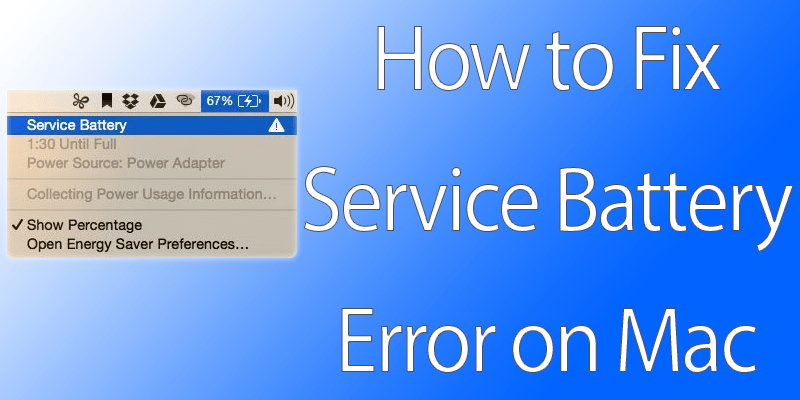 If you see the service battery warning, then there are three things you can do to fix it. Shut down your computer. Go ahead and plug in the power adapter or the MegaSafe to the power outlet and your computer. 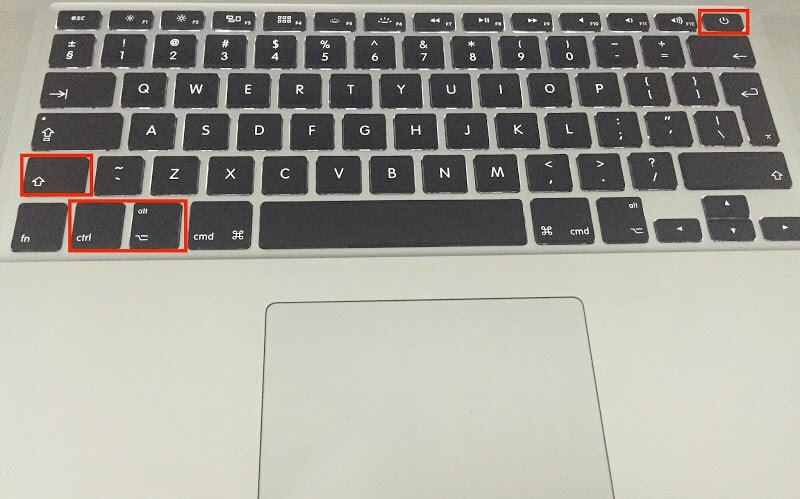 Then, press Option + Ctrl + Shift keys along with the power button. Now, release them all at the same time. Turn on your computer and check the battery status to see if the warning disappeared. If Method 1 doesn’t work, then you might need to recalibrate your battery. This will take some hours to complete. But if you want still want to remove the warning then here is what you need to do. First, charge the battery completely. Make certain that the MagSafe charging jack ring has a green light, depicting full charge. Now, once the Mac is charged fully, keep the Magsafe plugged in the power source and continue using your computer for at least two hours. Next, unplug your Mac and use it till it is out of battery power. On the battery status menu, you will see the low battery warning. Your Mac will sleep without a warning automatically. Once this happens, switch it off. Wait for at least five hours and then charge the Mac. If even after trying the first two methods, the service battery warning remains, then you will have to take your Mac to the Apple store and possibly get the battery replaced. 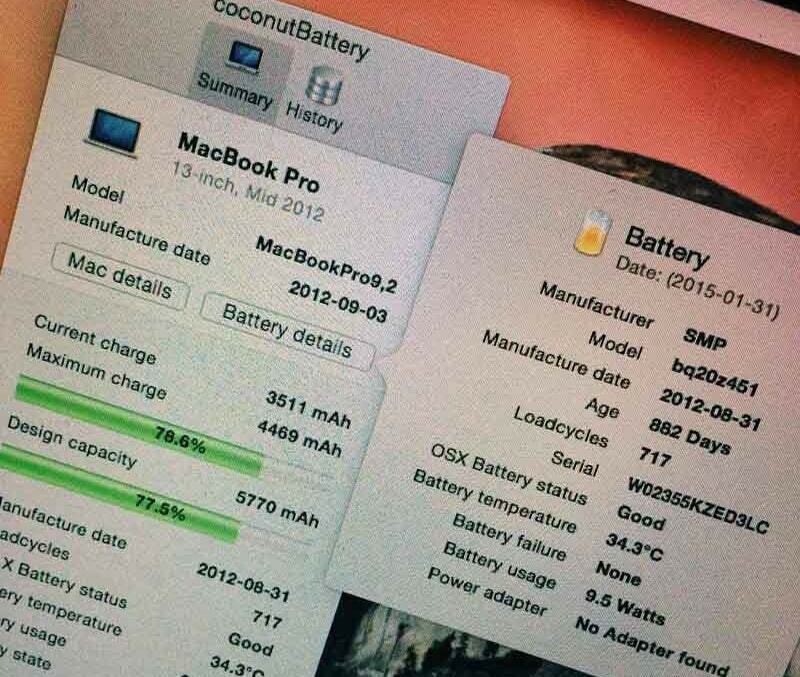 A MacBook has a 1000 load cycles for its batteries. You can get to know about the load cycles of your device through the free CoconutBattery app. Feel free to share your experiences with trying to fix the Mac Service Battery Warning. Which method worked for you?